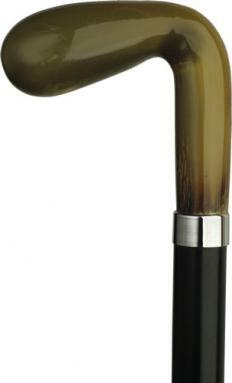 Genuine Horn Walking Sticks - Walking Canes for Men and Women - 1001Shops Co.
Horn handles are real standouts. Made from genuine horn, they have a feel unlike any other natural material. 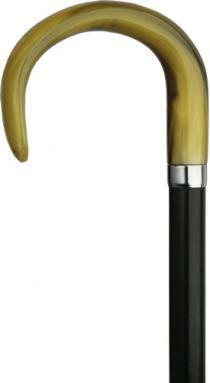 Masculine and solid, the horn handled cane makes a statement about the carrier unlike any other. Horn has a traditional look and feel that’s very upper cut. We carry four distinctive styles – all classic designs. We have a golf shape, great for the golf enthusiast, on the course or off. The T-shape is a design that just feels good in your hand. Nice to hold and great contours. The pointed nose shape is a traditional style, you certainly can’t go wrong there. Finally, the flat nose is a distinct shape that is really stylish and feels great to hold. 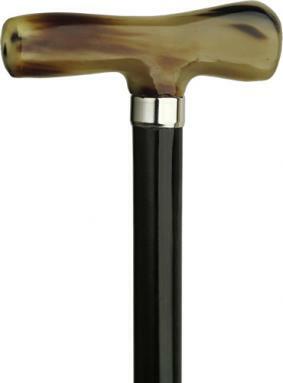 If you're looking for a unique cane that is manly and distinctive, look no further. Order yours today.